Because an unforeseen car accident can cause you to feel overwhelmed, scattered, and confused learn the necessary car accidents steps that you should take to ensure a smooth post-accident process. An unforeseen car accident can cause you to feel overwhelmed, scattered, and confused. Thus, this is an excellent time to brush up on a post-accident plan to know what actions to take after being involved in a car collision. Follow these steps to ensure a smooth post-accident process. First, remain calm. Check to see if you, your passengers, or the other driver is injured. Checking to see if anyone needs immediate medical attention can help you communicate more clearly with the emergency dispatcher. Second, contact the police. After an accident call the police so that an officer responds to the crash scene to file an accident report. This step is a crucial step to take because it is important to have an official record for a myriad of reasons. At no time should you discuss the accident with the other driver, begin a confrontation, or endeavor to settle the situation yourself. Third, if possible, step away from the vehicles. In the event, your vehicle is still electrically functional turn your warning flasher lights on and embark to the safest area in your immediate vicinity. It is very dangerous to remain in a crashed vehicle at the scene of an accident. Thus, if possible, walk to a safe area away from the car and away from traffic. Do not attempt to move your vehicle or move any vehicle involved in the accident. Fourth, once you and the other driver(s) are at the safe area begin to exchange information. Names, telephone numbers, and residential addresses of the individuals involved in the accident. Names, telephone numbers, and residential addresses of the passengers involved in the crash. Names, telephone numbers, and residential addresses of any eyewitnesses who may or did witness the car accident. Collect the license plate number of all vehicles involved in the accident. Collect the insurance company names and the insurance policy numbers of those who were involved in the accident. 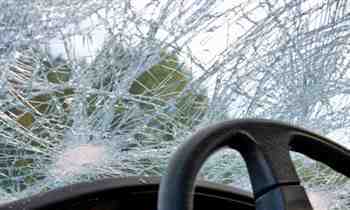 Moreover, take photographs of the damage to the vehicles and photographs of the location where the accident happened. This evidence can be helpful later to prove that the other driver was liable, video footage is accessible, and other useful information. Collecting some of the information is much easier when a cell phone camera is used. A user can easily take a photograph of the other driver’s license, insurance card, and license plate to deliver to their attorney. Sixth, if you were not transported by ambulance, then you should seek medical attention. Although a large majority of people walk away from an accident believing that they are not injured, vehicle injuries are not always noticeable to the naked away and in many cases come to fruition after the shock of being involved in a car collision has worn off. If you are hurt and need information, contact the Testa Law Group. Seventh, notify your insurance company that you were involved in a vehicle accident. This step is important since your policy likely has a notice provision that requires you to notify your insurance carrier at the earliest possible time. If you are not sure who you should contact, check to see if you have your insurance agents information or check your insurance identification card for your insurer’s contact information. Finally, follow your doctor’s orders. It is crucial that you follow the orders of your doctors as they have prescribed. Failing to attend appointments, take the necessary prescriptions, and follow the general orders of your doctor can greatly impact your future well-being and in some cases the strength of your case. If you or a loved one were injured as a result of a car accident, please call the Testa Law Group for a free case evaluation at 877-780-9052.